Movement II. 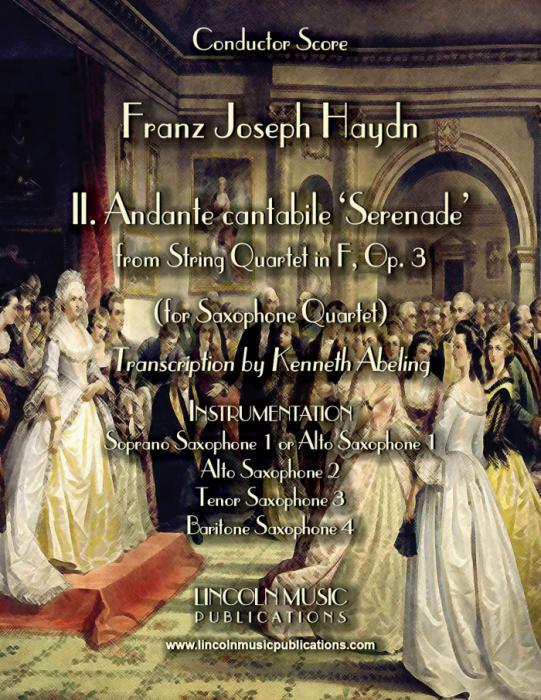 Andante cantabile 'Serenade' from String Quartet in F, Op. 3 by Franz Joseph Haydn transcribed here for Saxophone Quartet. This is an intermediate to advanced intermediate level arrangement and your audiences will find this melody quite familiar.